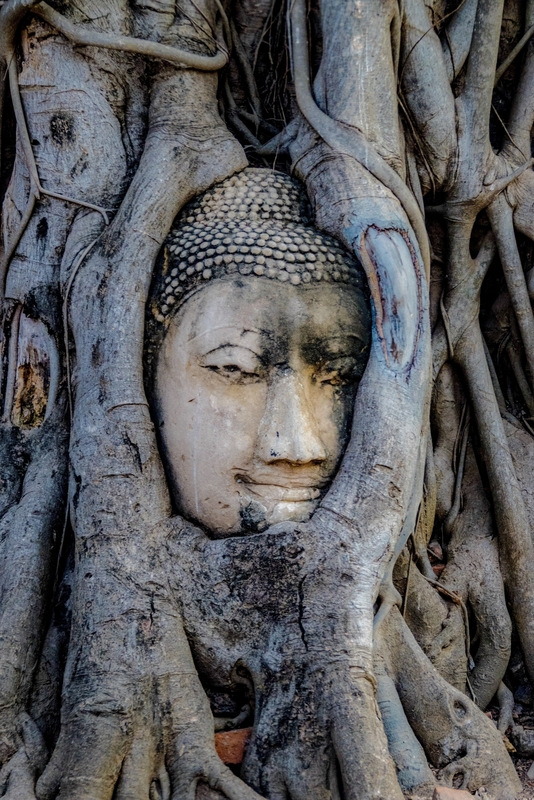 A Buddha face in the tree roots, located at Ayutthaya, is such an interesting and stunning piece of history to see. 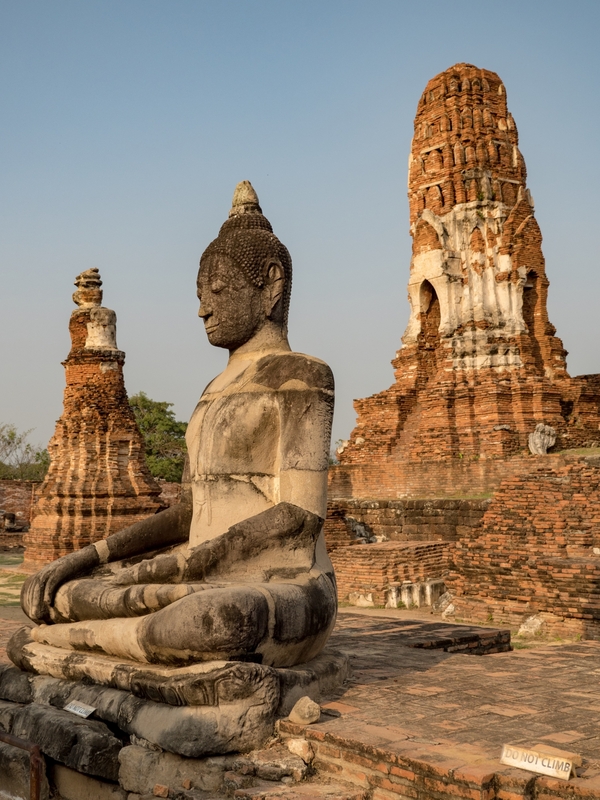 It is no wonder this is an iconic image, the whole area is beautiful but this particular image is quite moving, to think that despite the tress growing around the head it can still be seen and the tree appears to be cradling it. 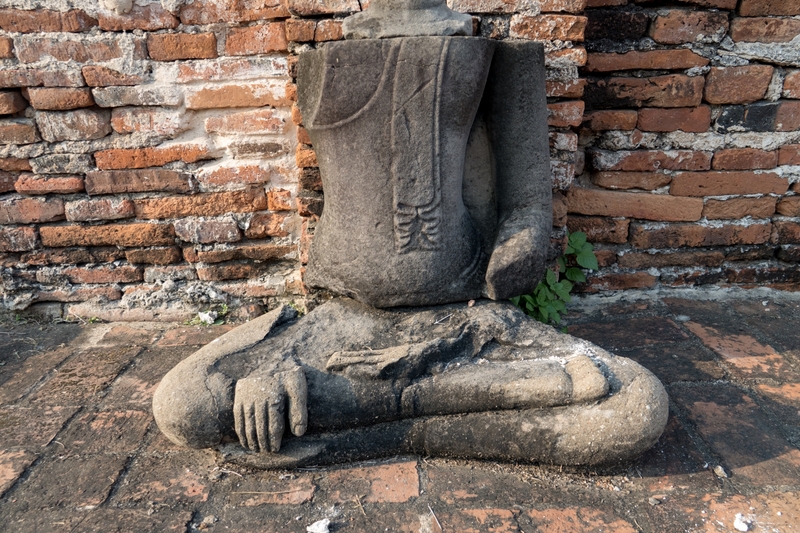 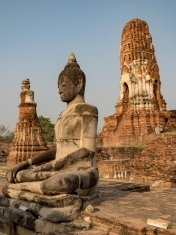 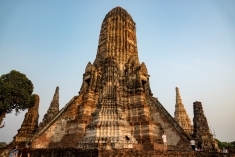 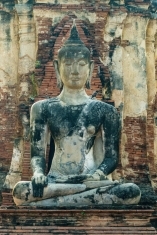 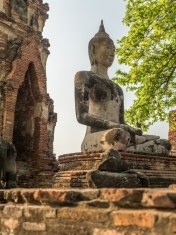 Ayutthaya, once an ancient Thailand capital and the trading capital of Asia was founded in 1350. 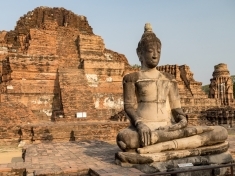 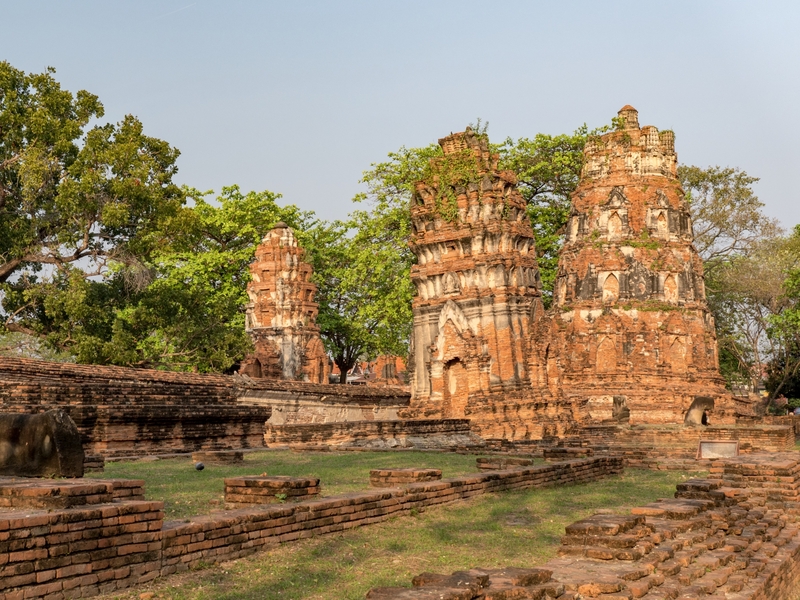 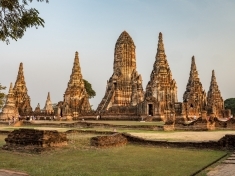 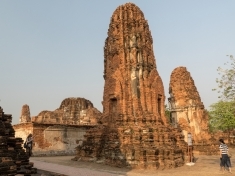 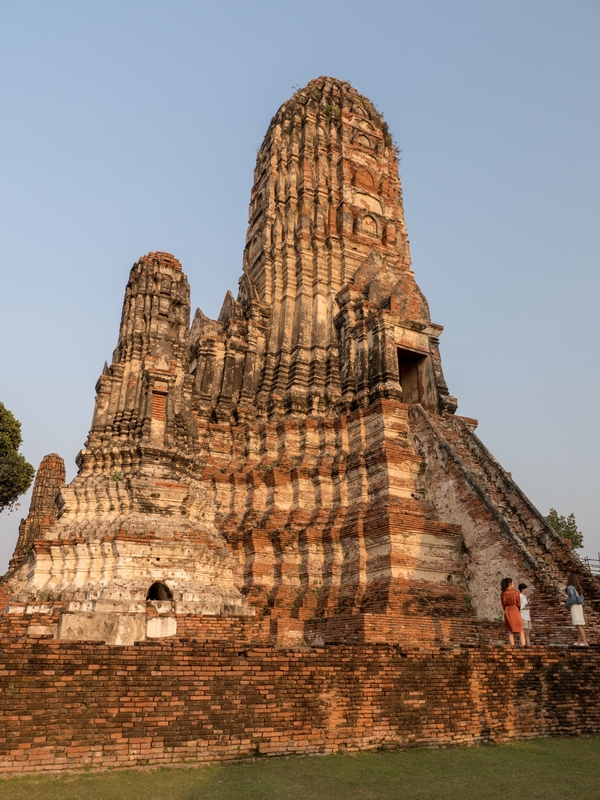 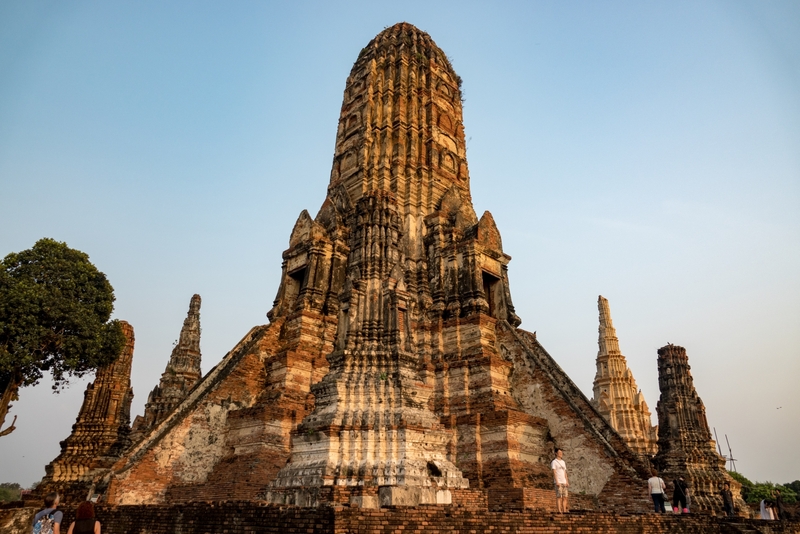 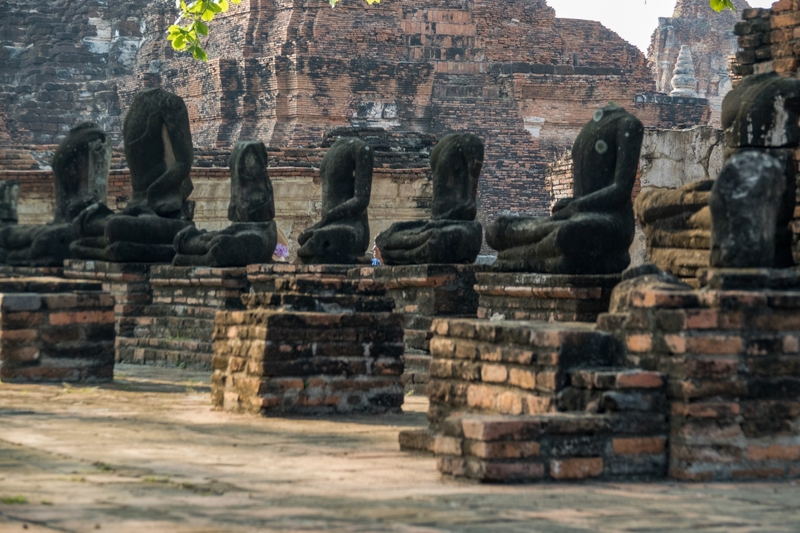 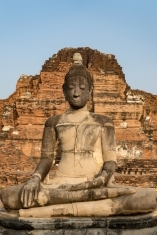 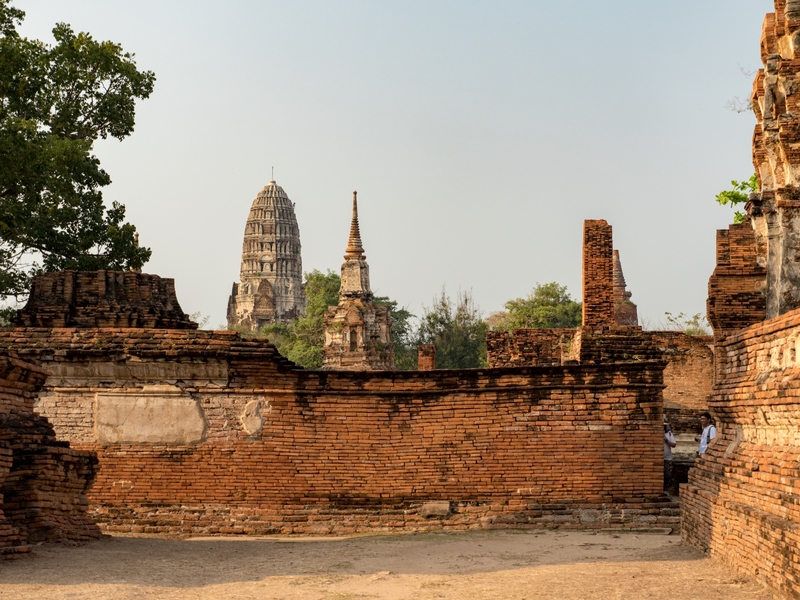 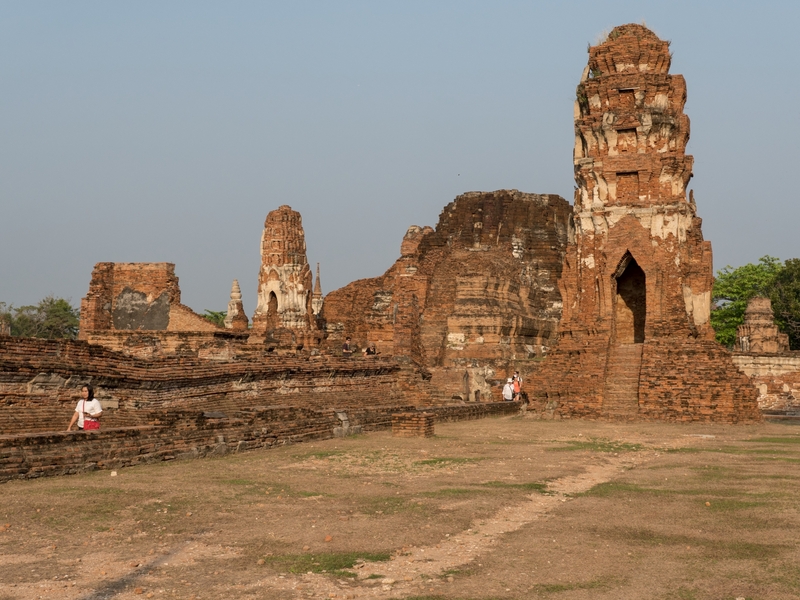 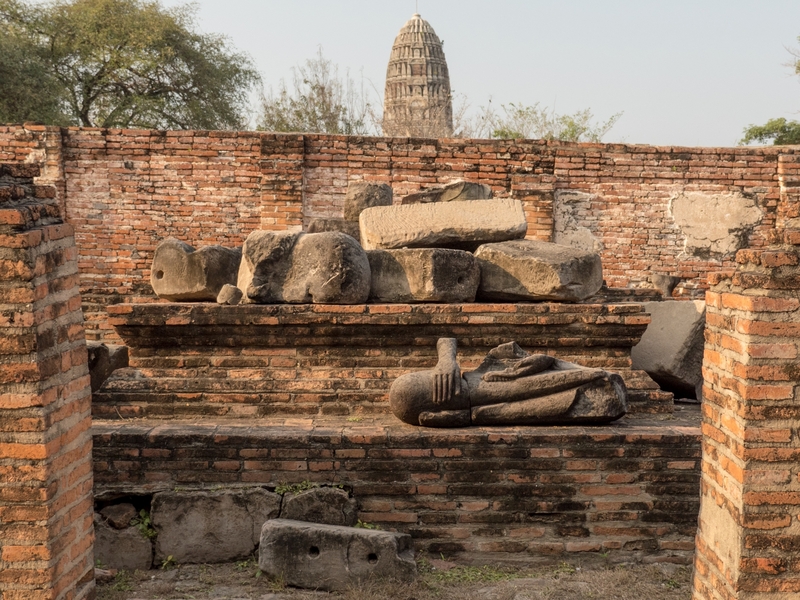 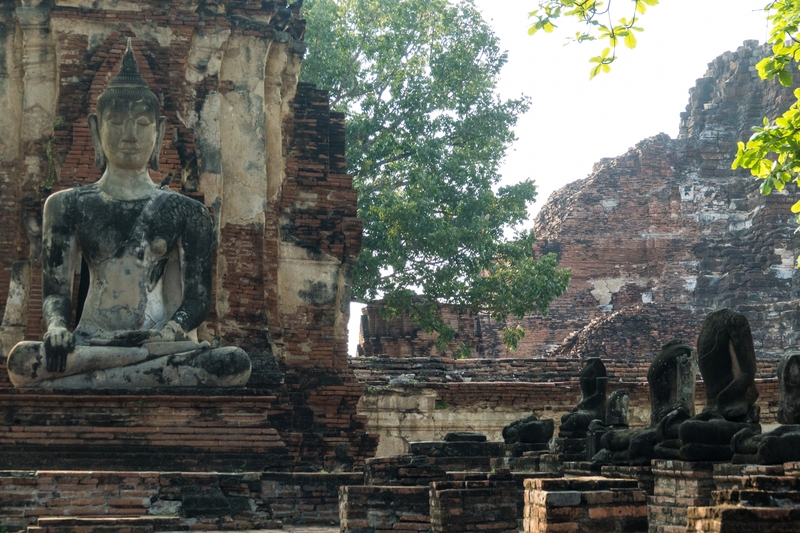 In its day, Ayutthaya was filled with enormous monasteries, exquisite temples and gold filled palaces in a city considered one of the finest in the world. 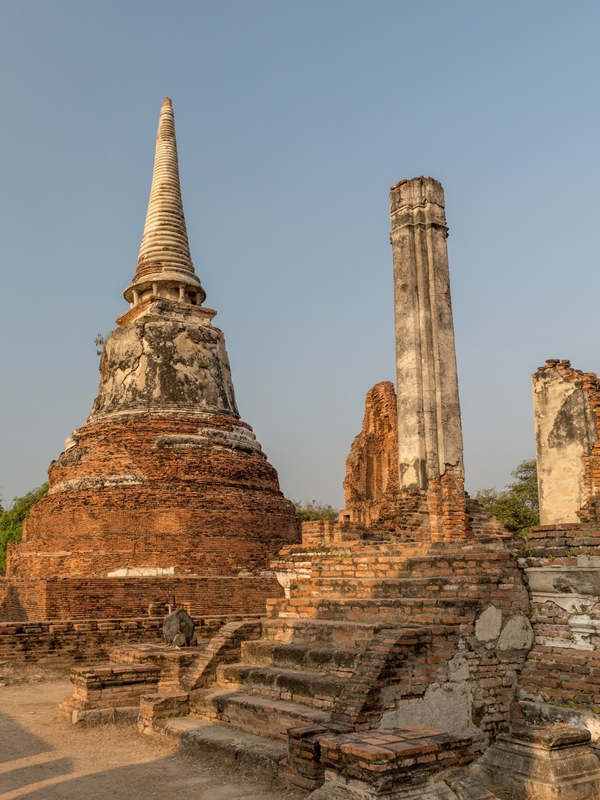 By the 17th century, it was the proud, wealthy home to reportedly over a million residents — more than London’s population then, making it the largest city in the world. It had an astonishing 2,000 Buddhist temples, or wats, as they are called in Thai. 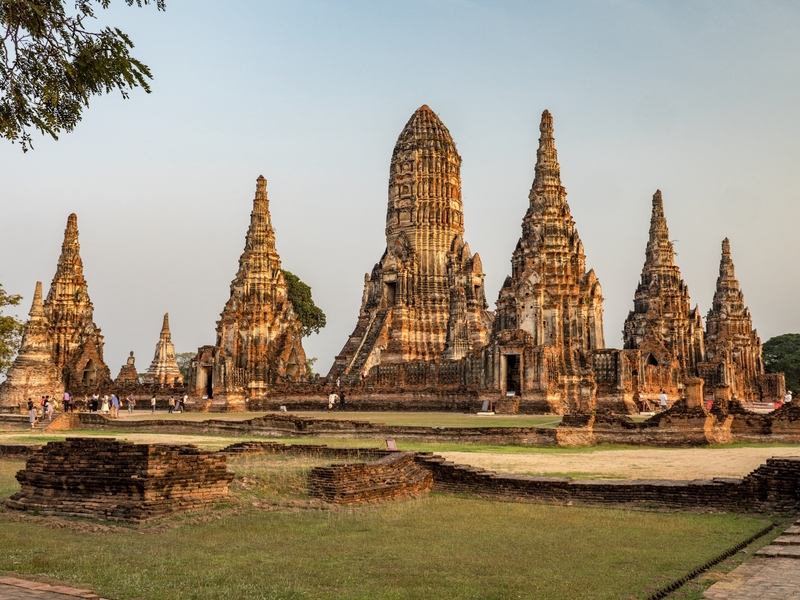 Here many majestic, rambling temple ruins stand stoically, reminiscent of Ayutthaya’s days of grandeur. 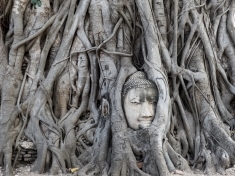 It is believed that Buddha attained supreme enlightenment under a Bodi/Peepal tree, so ever since I saw the picture of a Buddha Head entangled in the roots, it was very high on my photographic wish list. 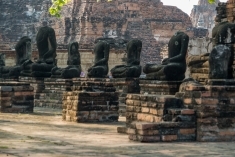 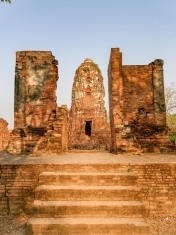 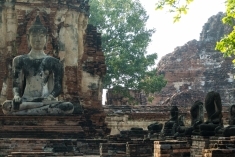 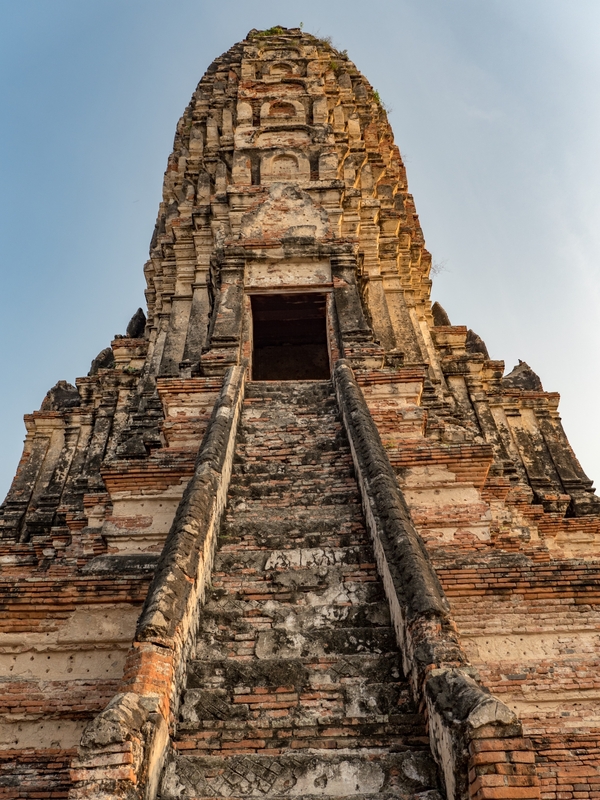 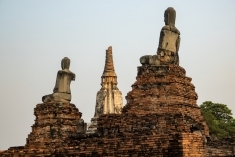 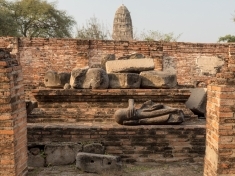 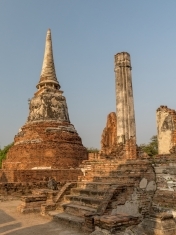 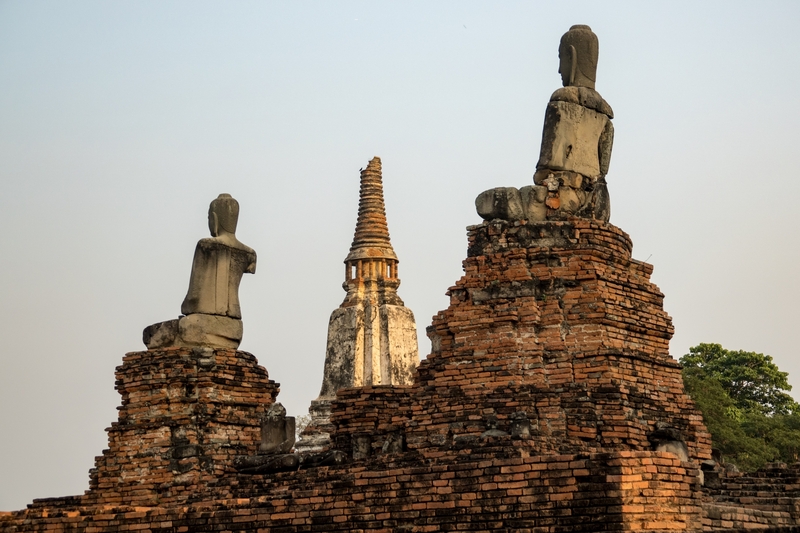 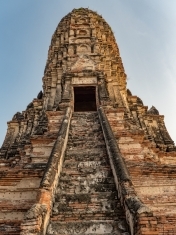 It is located at Wat Mahathat within Historical Ayutthaya, now a UNESCO World Heritage Site. 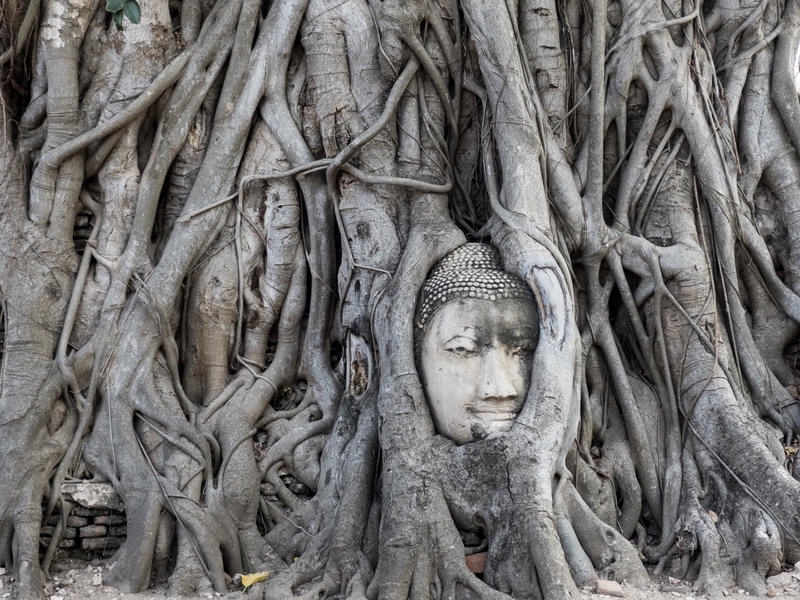 No one is 100% sure how the Buddha head got entangled in the roots of the Bodi Tree. 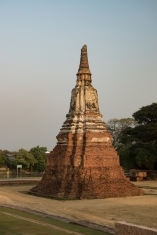 The most accepted theory is that in 1767, when the Burmese army vandalized the 14th century temple, the head fell and the tree grew around the Buddha during the neglect the site suffered in the intervening hundreds of years. Another theory is that a thief was carrying the head but did not carry it far; hid it under the tree to come back, but never reappeared and in the course of time the roots of the tree grew around the head of the Buddha. Whatever the reason, today this Buddha head in the roots of the Bodhi/Peepal Tree is one of the most iconic images of Thailand. 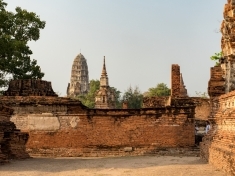 Located 20 minutes (by vehicle) from Ayutthaya Historical Park, a glorious palace proves Thai people can be romantic. 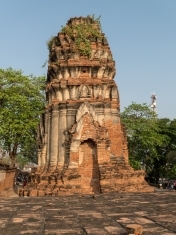 It’s history traces back to an ancient king shipwrecked on an island in the river and met a local woman living there. 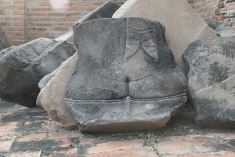 They fell in love, they beget a son, who in time became chief minister and later king. 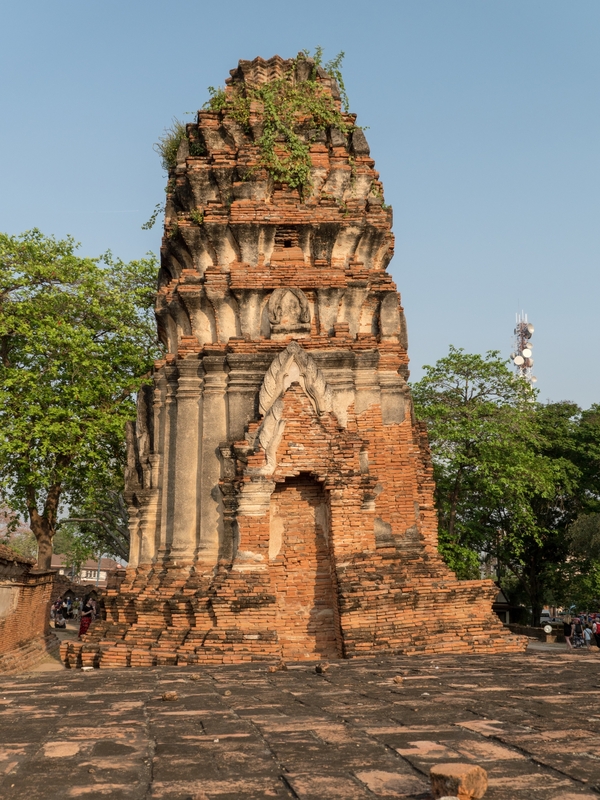 In 1632 this son, King Prasat Thong, decided to build his summer palace on the small island where his mother was born. He named it Bang Pa-In. Unfortunately, Bang Pa-In shared the terrible fate of the nearby royal capital Ayutthaya. It was attacked by Burmese troops in 1767, left in shambles and abandoned. King Rama V began refurbishing the compound in 1872. 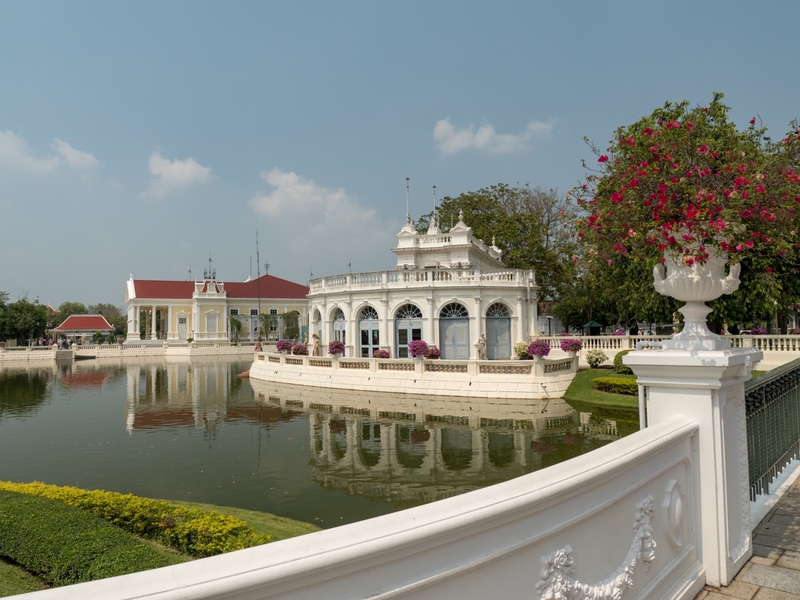 King Rama V’s love for European architecture gave the monarch the idea of turning this royal compound into his summer residence. Rama V used the Palace of Versailles as his inspiration for the manicured lawns, gardens and statues. 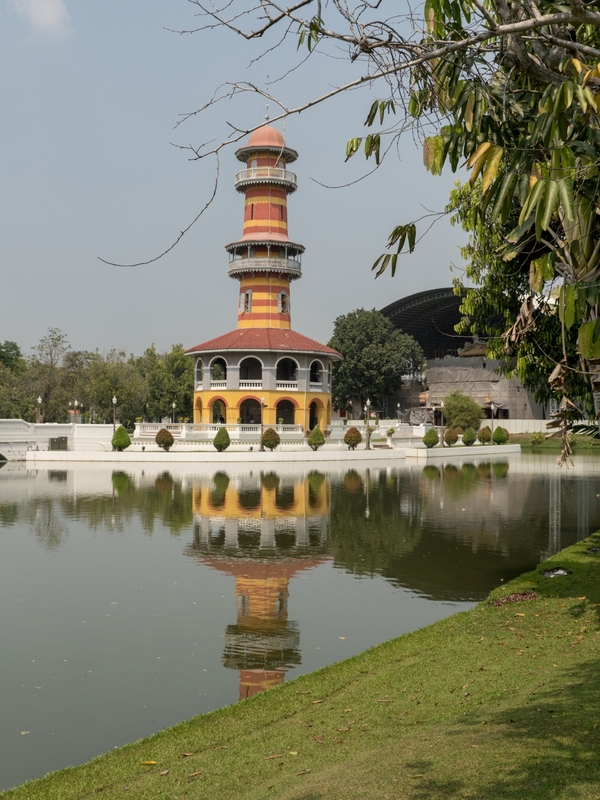 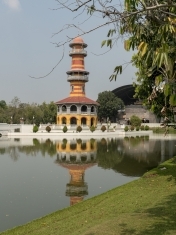 The “floating pavilion, is a tribute to the first palace of Bang Pa-In. Romance is often associated with tragedy, and Bang Pa-In is no exception to that cliche. 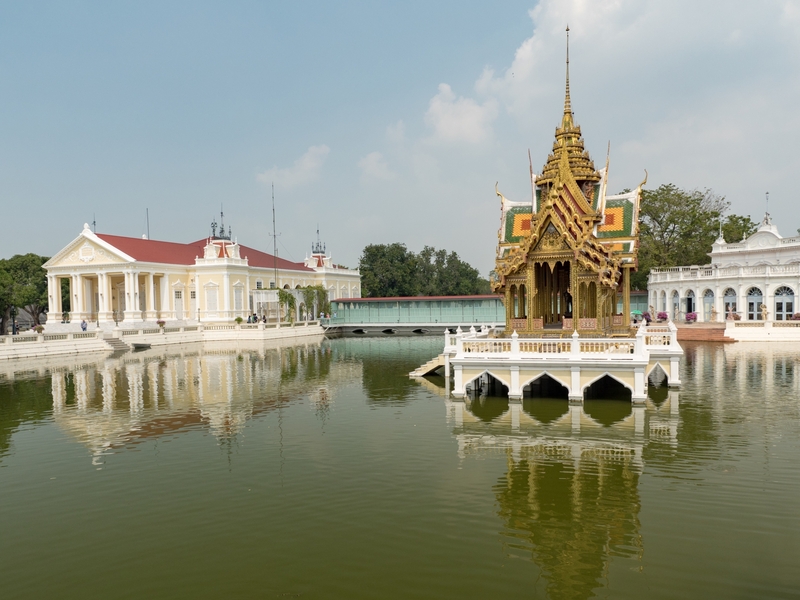 The year was 1881 and on the way to the summer palace at Bang Pa-In, Rama V’s royal raft capsized. 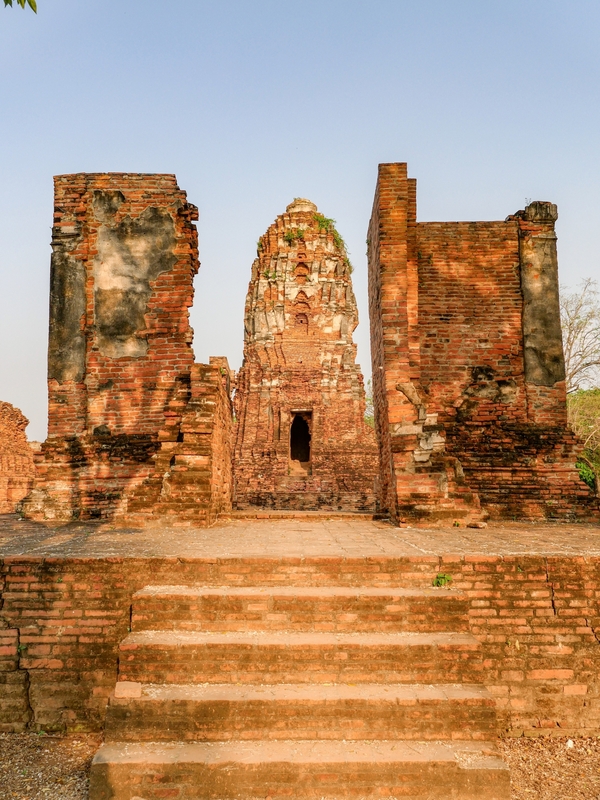 Back then, it was punishable by death to touch a member of the royal family so everyone was scared to help them … the queen and three of the children sunk to the bottom of the river in front of all those terrified sets of eyes and helpless limbs. 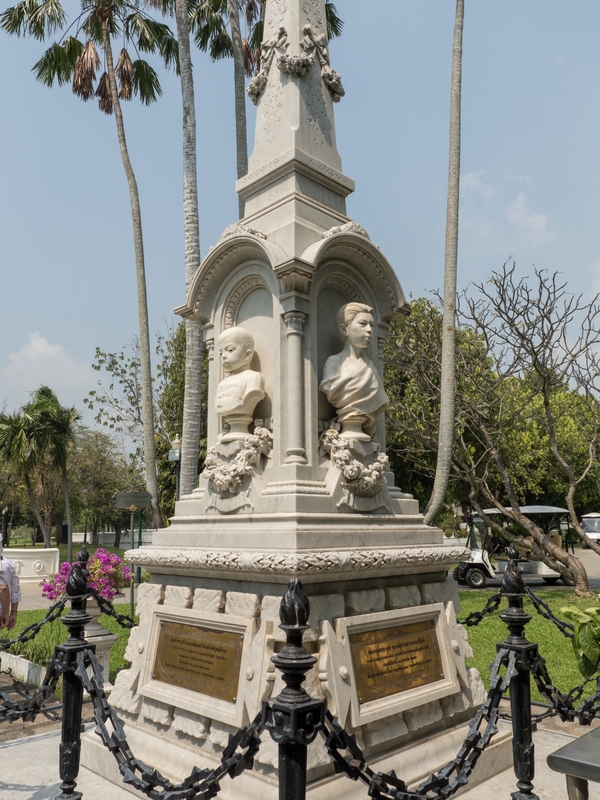 Heartbroken, King Rama V had a commemorative marble obelisk built in the garden, with a poem written by the King, integrated into the memorial. The king changed the law such that people can officially touch them — in case of emergency.